When the offer to give botox a whirl came into my inbox my immediate reaction was No. Way. Then when I actually thought about it that night I realised my reaction was only no because I ‘thought’ it should be no, not because I had taken the time to really see what I thought about it. With so many opinions about women and ageing and treatments such as this I think it is easy to make a swift judgement or take a stance just because you believe it is the right side of the argument but in reality It doesn’t mean you truly feel that way. It would turn out that even now that I am a proud glasses wearer that my default resting face without even noticing is a slightly furrowed frown which is doing nothing but deepening said lines and they are the thing I always look in the mirror and allow to bother me. I can have my makeup looking beautiful and not long later all I can see in the mirror is where the foundation has gathered in these lines and boom- my confidence is knocked! 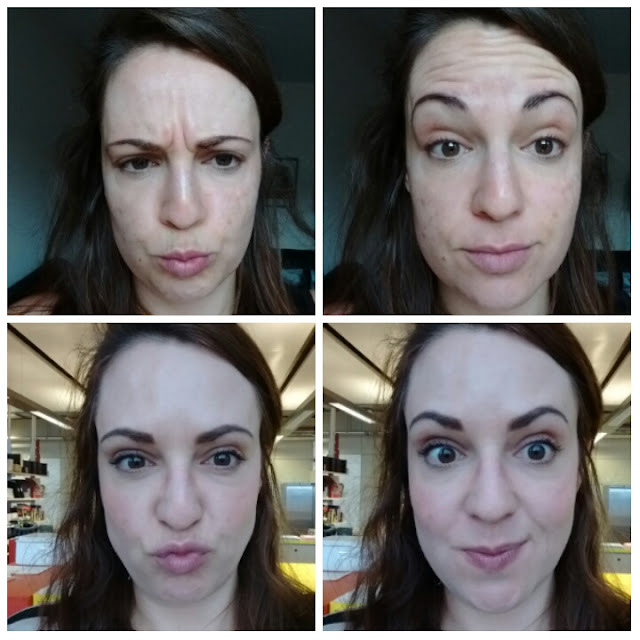 So when I really sat and thought about trying botox I realised, I don’t care what people think- I want to try it and see what kind of difference it really makes. And so I did and guess what, I love the results. Before making my final decision I spoke to Laura from La Belle Forme( you can read about a consultation at the clinic here) and she explained that a botox treatment doesn’t have to mean 'frozen face' at all, but when used correctly and appropriately it can be used to gain a whole variety of results. In my case this would mean stopping those muscles from moving automatically (as they do into a frown) which would prevent the situation worsening in the long run. This was music to my ears and was the moment I realised just how much I wanted to give it a go. Laura was amazing at answering all my questions and explaining the reasons why people can be nervous about using Botox, it was good to hear complete honesty and advice on the pros and also cons of the procedure. It didn’t change my mind at all, if anything it made me realise giving it a go was for me and it was obvious from her years of experience why she is an award winning practitioner of the treatment! The procedure itself was over insanely quickly, it really is a no fuss, no real pain treatment, that you can easily have done in among a busy day. You of course do feel sharp pricks from the needles but honestly it is so surprisingly painless. I was left with tiny little prick marks straight after but it was all gone in no time and there is absolutely no down time needed. You don’t see the results till around a week after ( it can take a little longer) but boy, when you do…. I LOVE IT. Yup, colour me a fan guys- I am absolutely madly into the results. It might seem like such a little thing to others but having something on your face that genuinely bothers you, so quickly resolved can just provide this massive confidence boost that if I am honest, I truly wasn’t expecting. 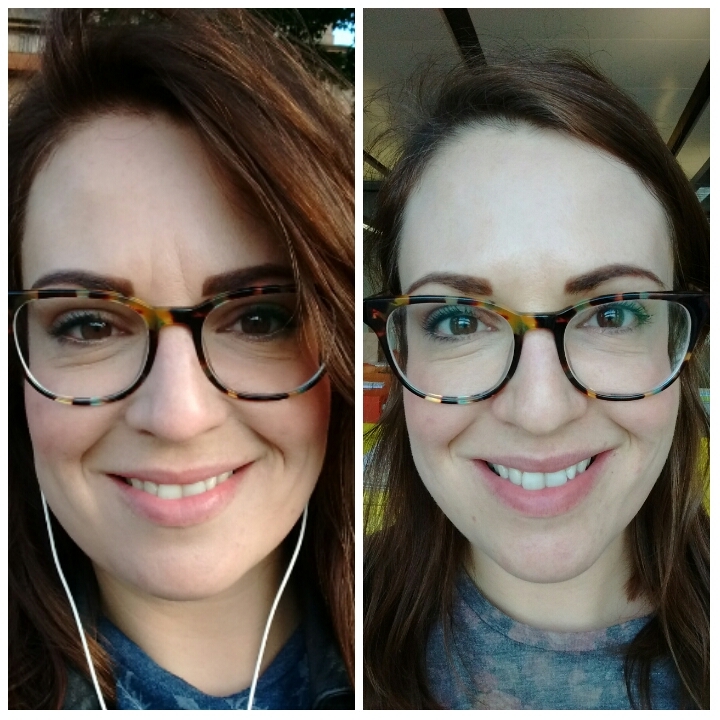 When I looked in the mirror and realised the treatment had kicked in (around 10 days later), and was working it I was properly blown away by the difference it actually had made. I can completely understand how it is not for everyone and going forward I wouldn’t necessarily have it in any area bar my frown lines between my eyes ( as the other lines just do not bother me as much- for now!) but it has totally changed how I feel about the procedure. 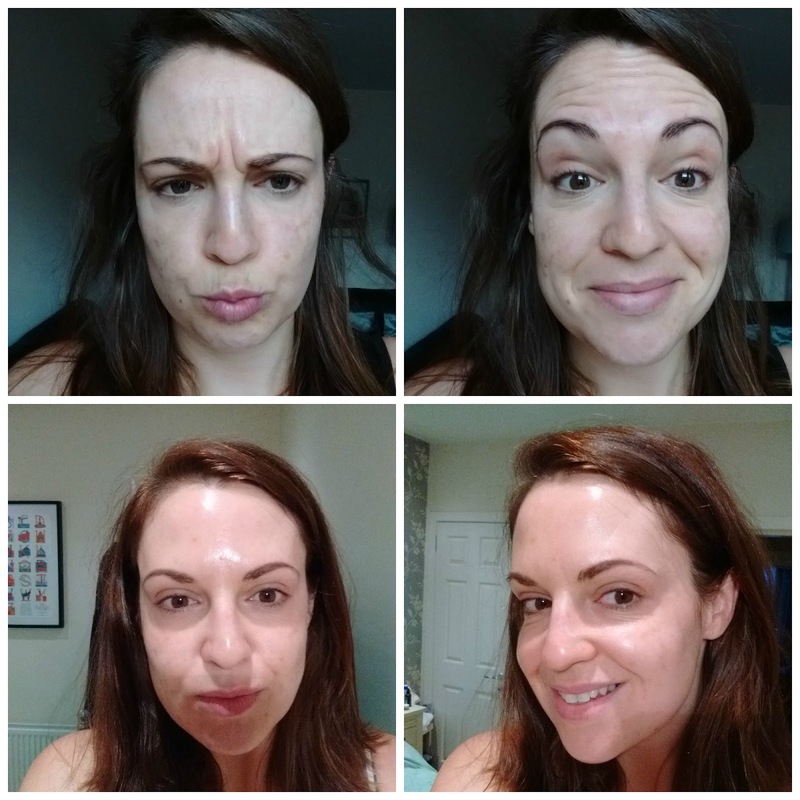 My face just feels a lot younger looking and much fresher, and without a doubt my makeup sits far nicer on my forehead and in fact I barely put any kind of bb cream or foundation up on that area now as I think it looks totally fine by itself. For the £150 it would cost to have my one problem area done again in the future, I would absolutely 100% do it, knowing that I am stopping my already prematurely deep lines getting worse by not allowing them to fall into that default position is really comforting to me- sad as that may sound. I know that after 8 or so months when I see the area change again, I will want to have it repeated. When I think of how much I might spend on other things that don’t bring me anywhere near as much an emotion as this did, £150 doesn’t seem at all un acheivable ( of course it is all relative as to others that might seem a high cost). 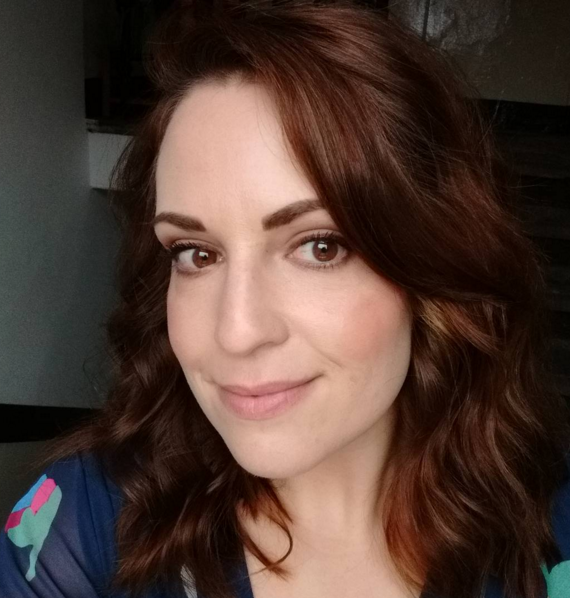 Laura is a total master at her approach to the use of botox, with the lightest of touch and application she can really give you the kind of results you are after, from a softer look to the little more ‘frozen’ if that appeals. You book in for a check-up a couple of weeks after your treatment and it is fab as there is the option then to have slightly more applied if you require it ( facial muscles can be strong!). Laura really sees it as an art form when she is helping someone make changes and the follow up appointment for any tweaks is just another example of the level of professionalism and care they take at La Belle Forme. It was great to chat away again to her about the kind of way botox and fillers can be used, she showed me some incredible before and after photos of people she had worked on and it is astounding the kind of difference people can have made to their lives when they consider treatments. For example she uses fillers to really help with deep scarring on people ( caused from dog bites to birth defects) and I was gobsmacked at how she uses techniques to completely alter their look. My lines were, I realise now,very superficial in the grand scheme of things, so taking how I felt with having them softened means I can only imagine the relief and confidence felt by those far more effected. 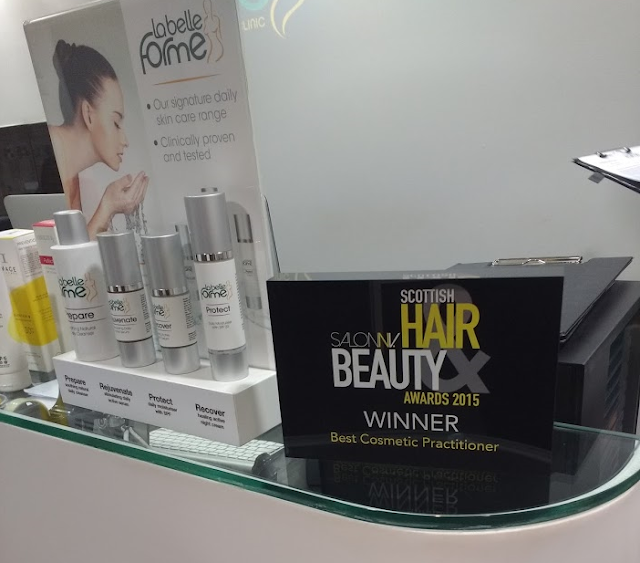 So is botox a treatment worth considering at La Belle Forme? Oh yes, Yes it is. From naysayer to mega fan- I am really glad I got over my initial negativity and experienced it. It has definitely made me less quick to judge others on the kinds of things people spend their money on, you just never know the level of enjoyment, comfort or confidence they derive from it. One thing worth remembering however is had I decided to have botox even without the invite, it would always have been with the team here at the clinic as you just cannot leave your face in the hands of a lesser qualified and experienced person. Botox now seems to be something you can have in different types of places from dentists to hairdressers and I would never consider it. You absolutely do get what you pay for and for the level of skill and years experience the team at La Belle Forme bring to the table is worth every penny. To speak to one of the lovely staff at the clinic you can call 0141 552 0828.